The next time you go to the bank, or enter a large high rise building, be sure to notice the design aesthetics of the lobby spaces, and yes even offices designs for flooring, furniture, and walls. In today’s world, Institutional spaces at large are heavily influenced by hospitality and residential design aesthetics. Sophistication and themed designs are trending. As with any market, finding these different trends in various segments of the education markets, institutions, hotels, dining facilities, and high rise buildings is always trending. For instance, in K-12 education, spaces are moving towards a versitle design that enables quick classroom reconfiguration. This will optimize the learning space and allow for additional desks, chairs, tables, and learning modules with castors. It is called a more student centric enviornment. “Competition for students is fierce in higher education,” said Di Anna Borders, Mohawk’s director, design segment. “Universities are rolling out academic versions of glitz and glamour to attract prospective students.” By standing out among the crowds of competition, design and key design features are very popular and offer contemporary visions to new students. Peering into the collaboration means success and finding ways for interaction on campuses around the nation means student lounges, computer labs, cafes, and simple comfortable areas to learn mean graduation of confident students in serving the needs of future generations. All that said, flooring types in markets across the board are selecting flooring that is current and stylish now; and will also hold its appeal for many years to come. Careful consideration in design, color, durability and performance mean 10 year designs will accomodate high traffic, and keep beautiful flooring slip resistant and durable with proper maintenance. 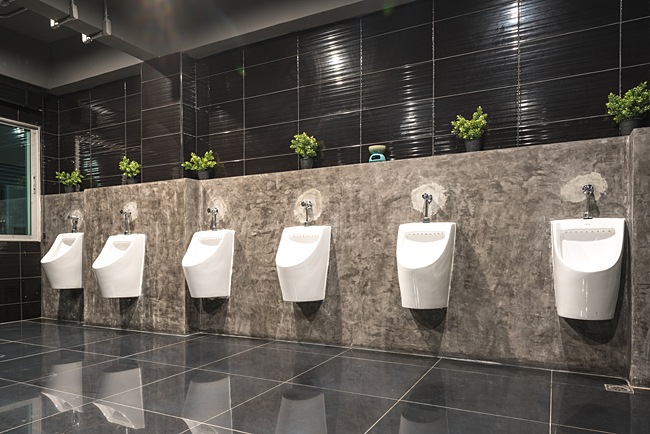 In some cases, these types of spaces typically see up to 10 years or more of use, and for this reason, must carefully consider design, color, durability and performance. The amount and ease of maintenance is also a determining factor, as these areas are also high traffic, according to Borders. With slip-resistance, durability, ease of maintenance and acoustical properties being just a few of the critical criteria required to be met in healthcare facilities, designers are turning to resilient flooring. Any facility owner’s biggest challenge is operating cost and the maintenance and up-keep of the property to keep it looking like new. Key benefits of flooring will include durability, easy maintenance, slip resistance—provide and low cost as potential solutions for designers that addresses performance concerns. Ensuring performance and achieving style all while adhering to a budget is a challenge designers are faced with more often than not. As flooring providers in the Dallas region, Keith Clay Floors understands that the bar has been steadily rising over the last few years for flooring manufacturers developing products for institutional spaces. Core issues like quality over time, maintenance and durability have pushed advancements in flooring materials and surfaces. Noise control and efgonomics are also figuring into the mix in fields where addressing significant challenges could make a real difference. Manufacturers that are serious about providing flooring solutions are doing so with a new generation of technologies. If you have need of institutional flooring here in Dallas, Frisco, Plano, Richardson, Ft. Worth and McKinney; please contact us today. Floor Restoration, Refinishing & Installation is the hallmark of our business services to you in the North Texas region. We provide World Class Craftsmanship. Reasonable Prices.